I saw this post on GreenBeanTeenQueen’s blog, and apparently a few different bloggers have been doing this. So I thought I’d share my own story of how I came to be a librarian. I’ve always loved reading and writing, but unlike a lot of librarians, I wasn’t myself a library user growing up. That’s not to say I never went to the library…I have assorted memories of going to various libraries over the years, for one reason or another. But it was not an active part of my childhood. We usually bought books, so bookstores were always my favourite place in the universe. And, honestly, I didn’t ever think about libraries too much. I went to university to study English…not because I particularly wanted to study English, but because I didn’t know what else to do, and English was always a good subject for me. I didn’t like my undergraduate years. Don’t get me wrong…looking back on it now I got to cover some really cool topics in my classes, and I am a huge fan of knowledge and learning. But at the time, I wasn’t in school because I wanted to be…I was in university because, for me, that was the logical next step after high school, and that was always how it was going to be. In third year of university, I really started to think about what I wanted to do with my education, because I knew an English degree wasn’t going to get me anywhere. I considered journalism, but that was never a strong point with me. I knew I didn’t want to teach, but that was one of the only options I could see for my degree, so I started exploring it further. All the way along, I knew it wasn’t what I wanted, and I was desperately trying to figure out what would really make me happy in my career. But, I started working as an in-class tutor with a kindergarten class, just to get some school board experience. I loved that job. Reading stories, singing songs, helping kids with their letters. I got to hear a four-year-old read for the very first time, and that was awesome. Once a week, I was there when the class went to the library as well, and that was always a fun time…the kids loved going up and picking out books. One day I was helping a little girl find a book, and then several other students wanted my help as well. And as I was standing by one of the stacks, looking for a good princess book for a five-year-old, I looked around at the library and thought “I could do this”. And that was that. I started researching librarianship immediately, and realized that to be an official “librarian” you needed a masters degree. So I looked into the masters program, read about the career, and more and more realized it was exactly what I wanted. By the start of my last year of my undergraduate I had decided on librarianship, and the next fall I started my masters. I loved it. It was, by far, the best schooling I have ever done. And when I finished, I started working in a library, and I’ve never regretted my decision once. 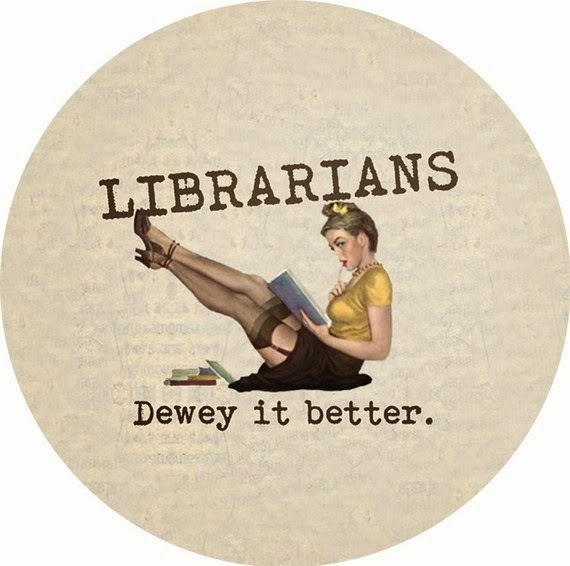 So that’s how I became a librarian! Awesome!! I love that it started with kids. Kids rock. And I know what you mean about hearing a kid read for the first time. We're home schoolers and I've taught three kids to read. Such a task, but so very rewarding.